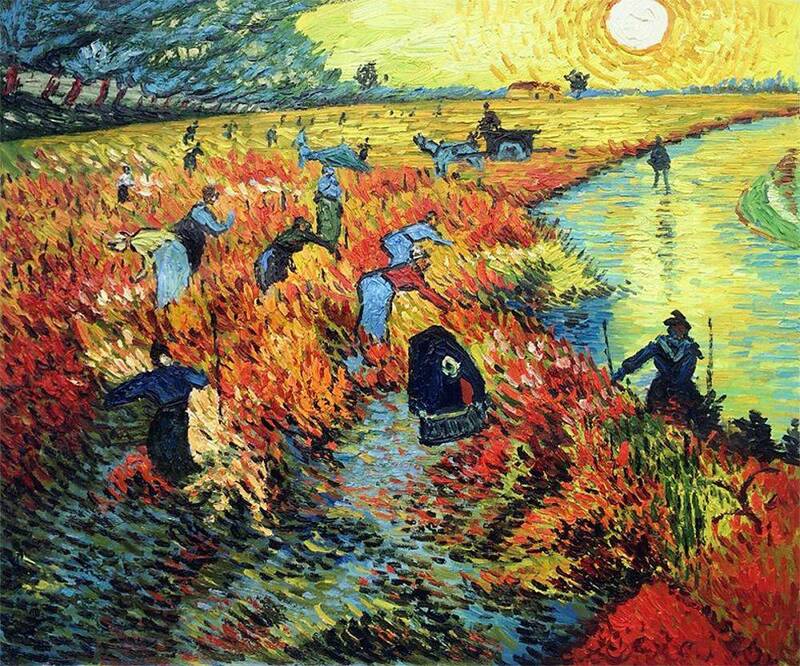 The Red Vineyards at Arles by Vincent van Gogh is one of the Post-Impressionist's most storied works. 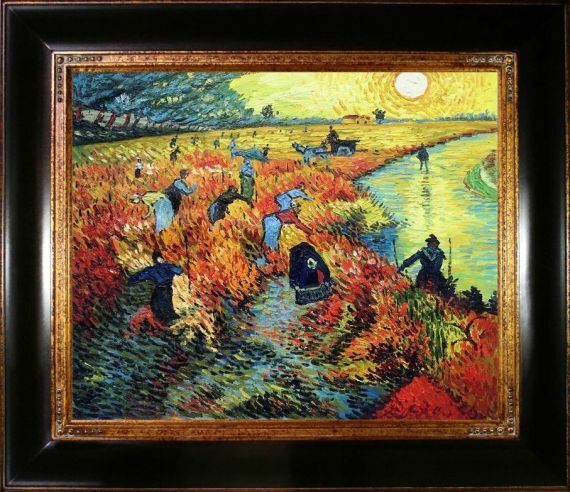 It was painted on a standard-sized Toile de 30 piece of Burlap in November of 1888 during Van Gogh's stay in Arles, in the South of France. 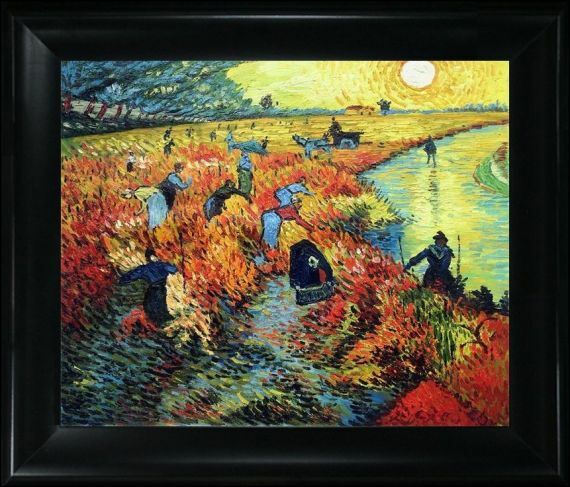 What makes The Red Vineyards so significant, though, is that it is supposedly the only work ever sold by Van Gogh during his lifetime. 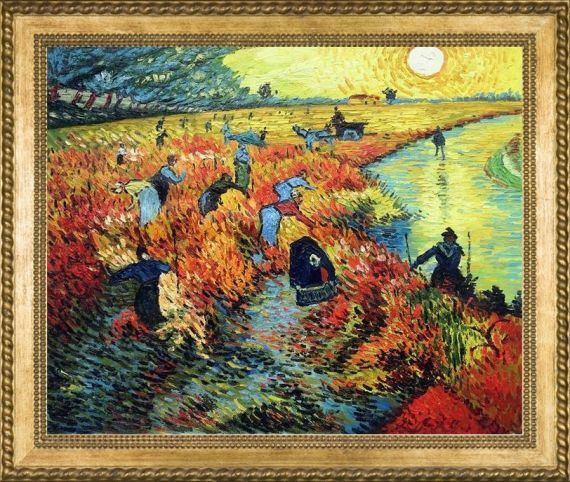 It was purchased for 400 francs (about $1,000 today) by Belgian painter Anna Boch during an exhibition in Brussels in 1890. 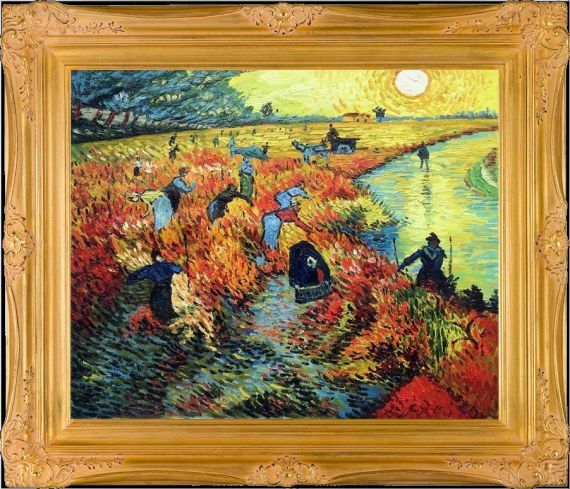 The work depicts vineyard workers toiling over vines in Arles and features the artist's signature impasto technique in rich shades of orange, gold and blue. 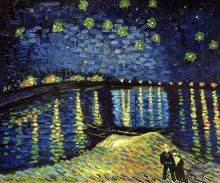 The artist's iconic impasto sun sets far off in the background. 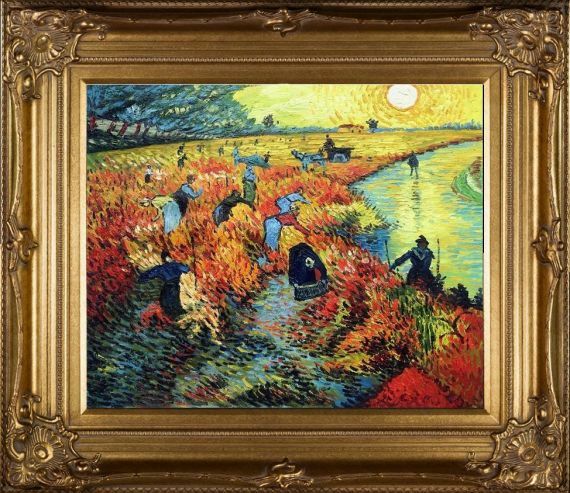 overstockArt has recreated The Red Vineyards at Arles with painstaking detail by hand so that you can appreciate this masterpiece every day. 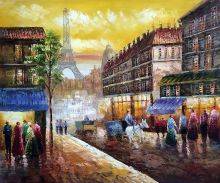 It comes in several sizes and framing options to suit your personal preferences.